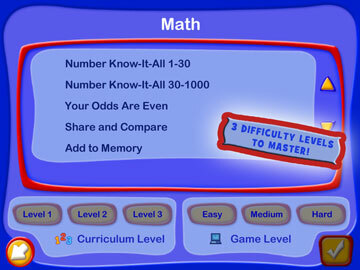 Help your child learn key elementary math skills! Perfect for your 6-8 year old! 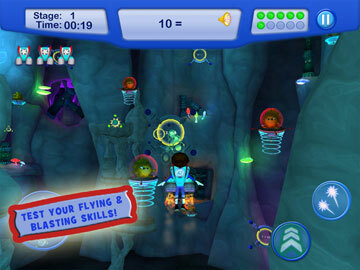 Explore a mysterious cavern packed with math skills and fun for your child in JumpStart® Blast-Off: Math! ! 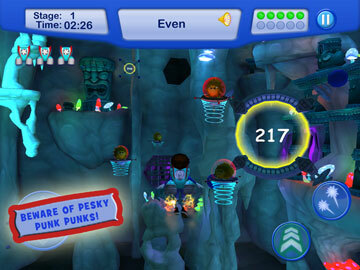 Armed with their brains, jetpack and blaster, you child must find the correct answers to help them race for the top score! Beware of the pesky punk punks that are out to stop your child. With 28 lessons designed to teach key elementary math skills like addition, subtraction, multiplication and division, this game is the perfect way to help your child master and in a fun, cool way. 28 lessons of fun math skills for your young learner to get ahead in elementary school! 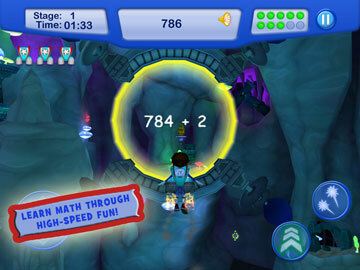 Many progressive of math game play for your young learner to master! Choose child-friendly tilt or joystick controls so your child can pick up and play immediately! 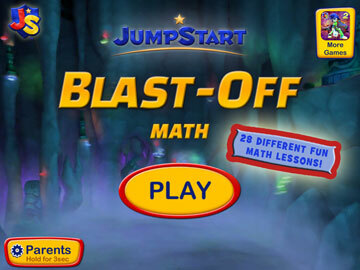 JumpStart®, a key children’s educational publisher, has created learning games such as JumpStart® Blast-off: Early Reading, Madagascar Math Ops, Math Blaster, JumpStart® Pet Rescue and more!